Home Democracy Education and students' rights Where are the Malaysian universities in Times Higher Education 2012-2013 rankings? 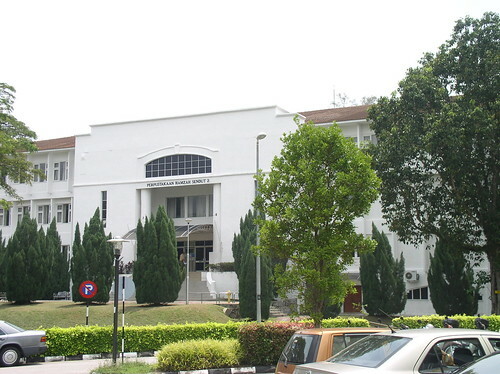 Where are the Malaysian universities in Times Higher Education 2012-2013 rankings? The latest rankings by Times Higher Education are out, but where are the Malaysian universities? This is a reflection of the dismal standards to which they have sunk. The top three Asian universities as ranked by THE are University of Tokyo, National University of Singapore and University of Hong Kong. The latest rankings on the Times website. For me, this ranking is almost correct. We got to accept it. However, our universities should employ world class professors. Most of the commentor is anti BN for sure ! !….All their comment is therefore meaningless. There is a reason why we are the 16th trader nation in the world ! The world 4th shopping destination, etc. There surely good things done by Malaysian and our Politician ! Maybe they are thinking big about how to solve global poverty! UM is living on its past glory. Today it is no different from UiTM. Of course its alumni is still in denial. Cannot blame them. lol – even the made-in-china universities rank higher than Malaysian U. Only an idiot would keep saying not fair not fair not fair as he is too stupid to be able to think and brainwashed into thinking its always 1Malaysia Boleh. Please check your facts about the origin of Nanyang Technological University. You must be mistaken with Ngee Ann Polytechnic which is still a top-rated polytechnic in Singapore. In the 60s you need to pass the qualifying test (QT) before you go to Form 6. Even though you may have pass the SC but does not get through the QT, you may not be able enter Form 6. Now if you have good results in SPM you may still go to U. Thats how our standard has declined. Sobri was right, sooner you will only need your school results to go to U. Even our driving license are not accepted in many countries whereas Singapore are internationally accepted. QT is for those who who got a C in the form 3 exam. If you don’t pass it you would not be allowed to sit for the Senior Cambridge. Why bother the ranking when the measurement is not fair ??? Before continuing the spinning, did you check the criteria for ranking ??? Dumb GERAKAN K you are always in denial. Tomorrow they tell you the sun rises in the East and you will say no it is the West. You are an irritant and a pest. Real dumb. Malaysian universities did not submit themselves to be evaluated for this report. Why? Because the Higher Education Ministry on a matter of principle, disagreed with the criteria of the evaluation. The criteria was heavily (90% scoring) into research, publications, and teaching. Because in Malaysia, we don’t do those three things. We just admit students, and graduate them. Scrapping the PMR not STPM friend. Why bother the ranking when the measurement is unfair ??? Before spinning anymore, do you check their measurement criteria ??? It will sure be interesting to hear the fairy tale excuses that are going to be vomited out by our 3rd grade ruling politicians. Can’t wait to enjoy the stand-up comedies ……. Where do we find malapex unis ?. Very simple to find one !